The museum is located in the former parsonage of the oldest Zion Lutheran Church in Michigan built in 1909. Features displays of artifacts portraying time from 1871 to early 1900’s. It is currently being restored. From June - August Open on Saturdays from 1p.m.-4p.m. Call Mary Erickson at (906) 524-7689 for appointments. From the 4-way stop in downtown L’Anse, turn right on Main Street which becomes Skanee Road. Go thirteen miles to the museum. As far as anyone can remember, the burial ground has been here. 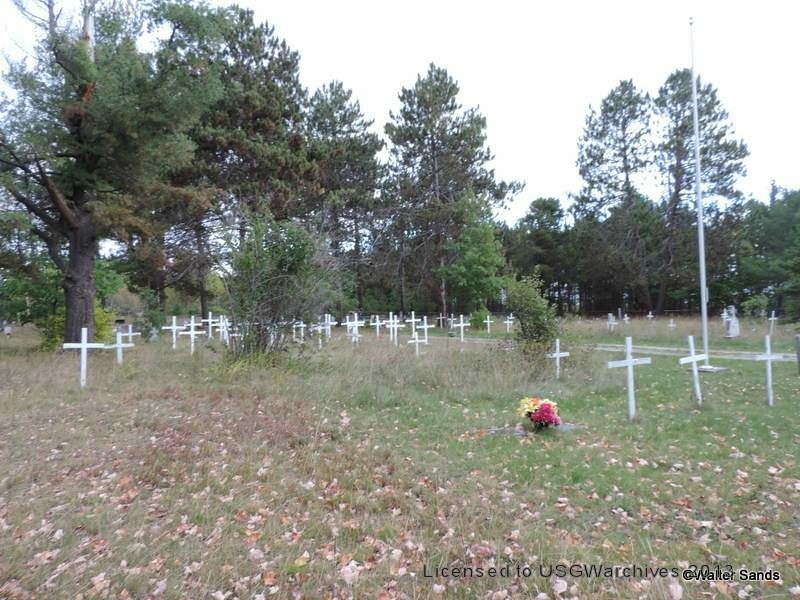 The Ojibwa Nation was casting its nets in Keweenaw Bay near Assinins in the 1600’s At the time of death the deceased would be dressed in their finest clothing and their body removed from their wigwam or house, from a westerly window. A feast of the Dead is celebrated each year during the spring. Visitors are welcomed from sunrise to sunset. For more information call (906) 353-6469. Located just north of Assinins on US-41. Home of the famous Aura Jamboree the 3rd weekend in July. The purpose of the association is to plan strong local traditions focusing ethnic folk music programs and commu-nity arts. For more information: (906) 524-7842. From the 4-way stop in downtown L’Anse, turn right on Main Street which becomes Skanee Road, continue on ten miles to Townline Road, turn left and go three miles to the hall. Constructed in 1891. Now houses probate, circuit and district courts, and county departments. Local photography is on display. For information call: (906) 534-6300. Hours: Monday-Friday 8:30 am to 4:30 pm. 16 N. 3rd Street, downtown L’Anse. Painting done in cryptic, also stained glass windows and woodcarvings. Artwork directed by Forsberg curator of Chicago Art Institute. Shown upon request. (906) 355-2326. US-141, Covington, South of M28. 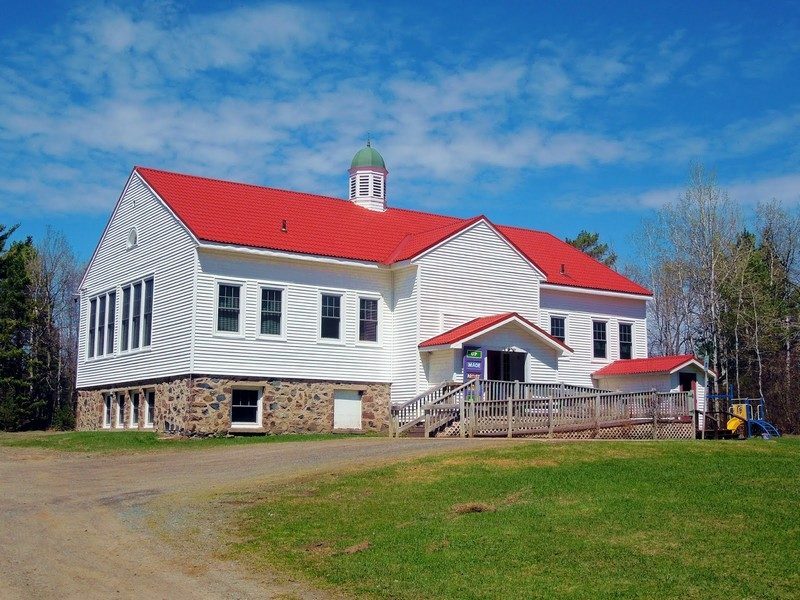 The museum is open to the public June through August, Friday and Saturday from 10 am to 4 pm. For more information: (906) 355-2174. Located on Elm Street in downtown Covington. M28 and US-141, Covington, MI. The New Pavilion and recreational area is the site of the Finish Music Festival, held every 4th of July and hosts other annual festivals. Food, beverages, and fireworks. For event information: (906) 355-2174. Located on M-28 just a few short miles west of Covington, MI. To preserve historical sites, artifacts and spiritual traditions of Christian Native Americans of the surrounding area. Scenic hiking trail. 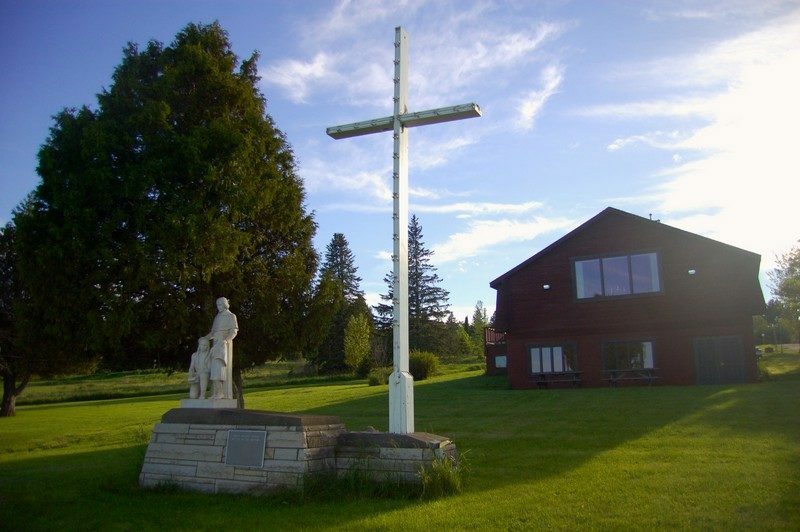 Native Catholic Church and cemetery, one-room schoolhouse, native genealogy center, orphanage, and site of Bishop Baraga’s last mission. Call for further information. (906) 353-6469. Assinins, US-41, 2.4 miles north of Baraga, MI. Herman Hall is a historical building constructed in 1931 by members of a Finish Amateur Athletic Society. 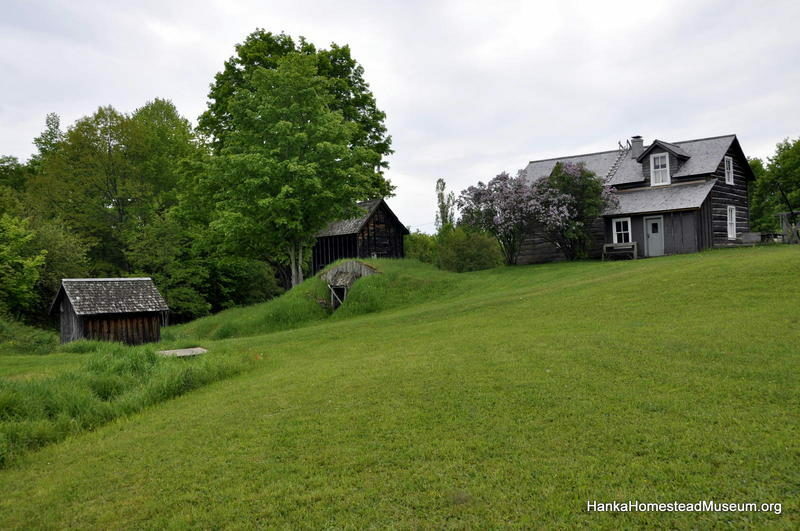 The hall has been recognized by historians in Finland and in the U.S. as one of the best surviving “Fin Halls” in the country. The society maintains Herman Hall for community promotion and preservation of local cultural heritage. Herman Road is located 2 miles south of L’Anse on US-41. Take Herman Road 5 miles to the top of the hill. 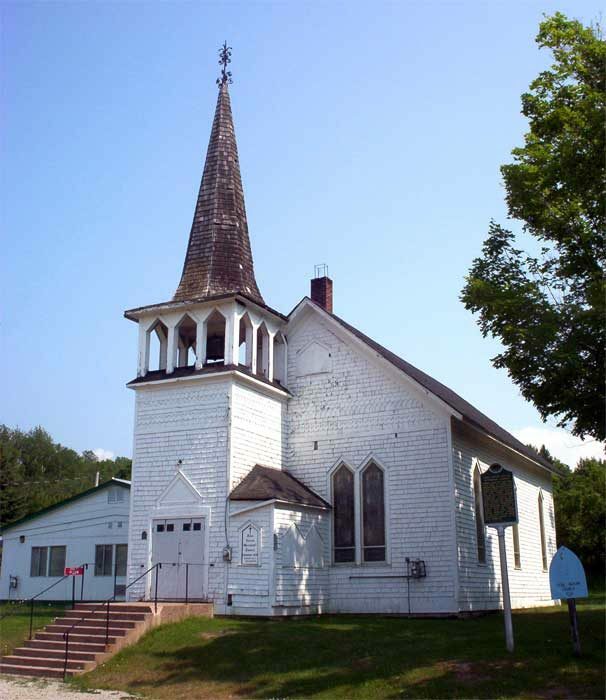 The Methodist Mission was established in 1832 by John “Shawundais” Sunday who also fought in the War of 1812 and is the oldest missionary Church in the Upper Peninsula of Michigan. 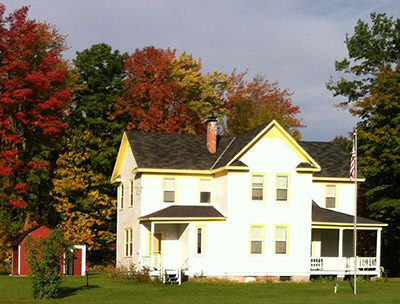 It was listed as a Michigan Historic Site in 1979 and on the National Register of Historic Places in 1980. The outdoor chapel at the Camp Grounds was built in 1924 where the “Camp Meetings” have been held annually since the 1880’s and were also held in Pequaming. Constructed in 1868 on Huron Island to guide vessels from Marquette, through Pequaming, into the L’Anse and Baraga Ports, or the Portage Canal and Isle Royale. Walk-ways have been built by the Coast Guard. 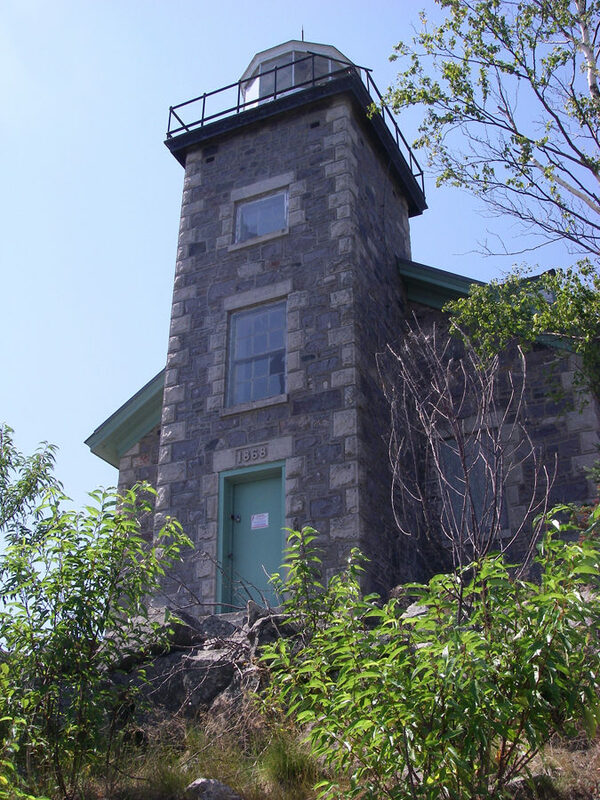 The Huron Is-land Lighthouse Preservation Assoc. is presently working to restore the structure. The lighthouse, accessible only by water, is located approximately five miles off the shore from the mouth of the Huron River and is built on jagged, rocky knolls. 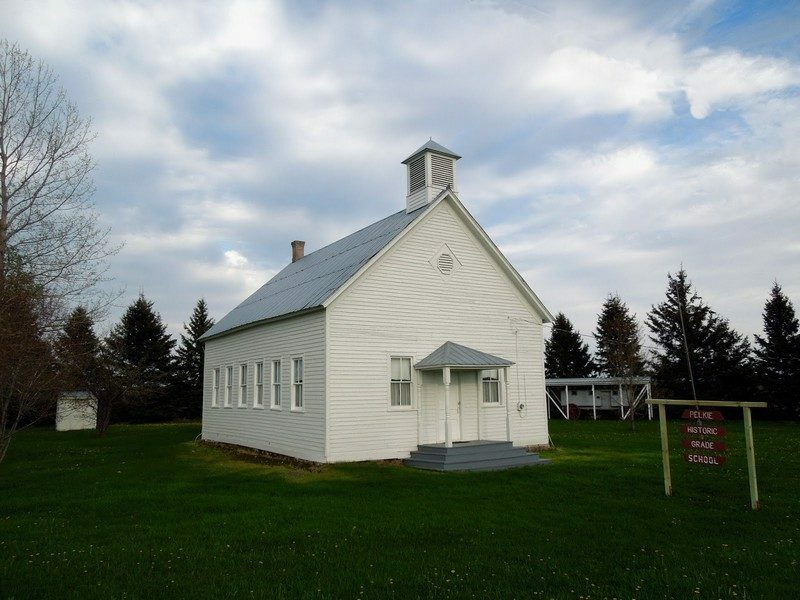 Historic, restored, one-room school house built in 1907. Served as a school unit until 1932. Here you can sit at a desk and imagine what school was like in a bygone era. Hours: Sundays from 11 am—4 pm during the summer months. For information call (906) 535-6709. Take M-38 west from Baraga for 7 miles to Pelkie Road, turn right, go 3 miles to Mantia Rd., corner of Pelkie Rd. and Mantila Rd., in Pelkie.